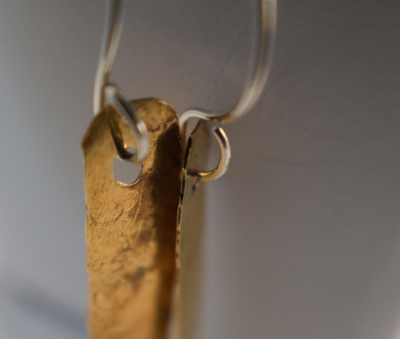 Simple hammered oval soldered as a part of a 16", 18", or 20" chain necklace. 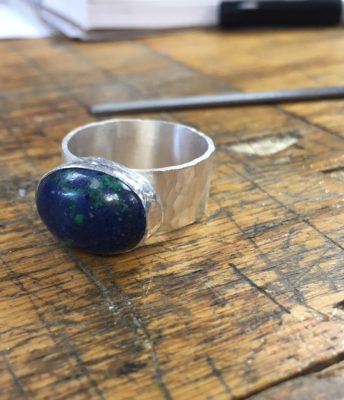 Wide hammered sterling band, set horizontally with a beautiful mixed lapis stone. The inside is carefully smoothed to fit comfortably, for regular wear, without snags or pinches. 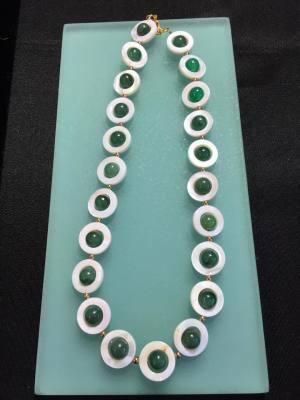 This is one of my most popular designs, and can be done with a variety of stones, and virtually any band width, Contact me and see what we can create together. 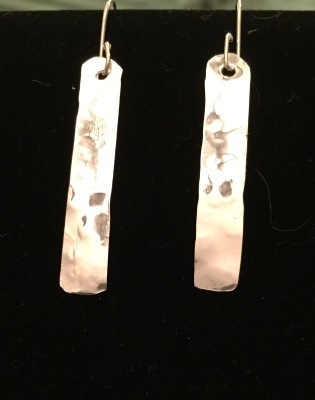 Hand cut, textured and polished sterling earrings. These sparkling earrings can go with Jeans and a T, or a little black dress and anything in between! These can be cut in your choice of length, hand fitted onto handcrafted 21 Gauge ear wires. 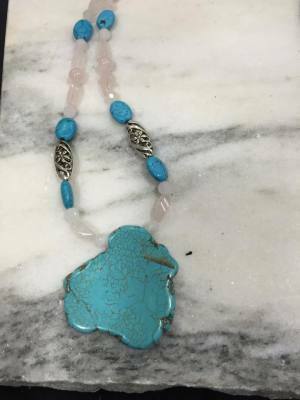 Have a favorite stone or found a special stone you want to wear? Let's talk. 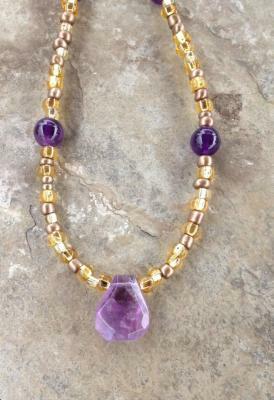 Together we can come up with a design that is uniquely you, yet showcases your special stone. Sometimes, you just want a special chain. 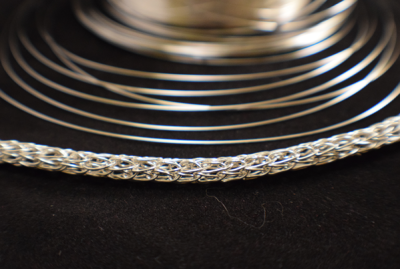 A woven chain; a hand crafted and hammered sets of different sized rings; mixes of straight tabs and rings. Choose a bright shiny finish or brushed, or even antiqued. The choice is yours when we work together. 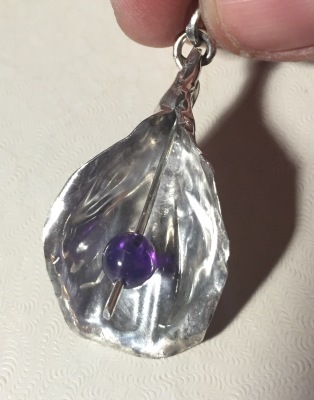 Hand formed, sterling silver flower, focused with an Amethyst bead. Choose small medium or large, even select what color you would like in the center of your custom flower. 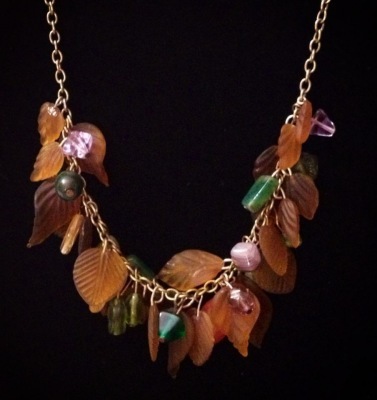 Shell discs surrounding colored beads- choose stone, crystal or pearls. Strung on 7 strand stainless steel wire for long wearing durability. Choose thickness, length, chain ends for extension - this beautiful, strong yet flexible necklace is wonderfully wearable on its own, or decorated with a handmade pendant. The choice is yours! 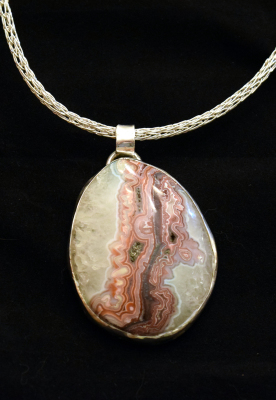 Jewelry is not just for women - men can choose to wear strong, unusual pendant made from stones or fossils, worm on silver chain or woven leather. Choose your style! Just because you like gold, doesn't mean you have to pay a fortune! 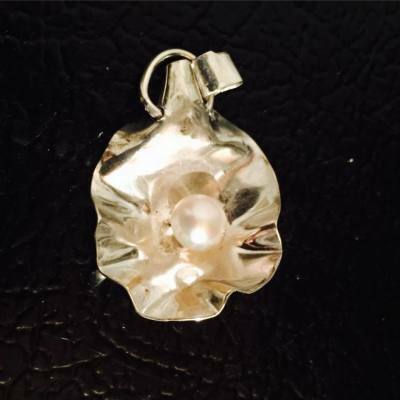 Choose sterling wires or clasps, mixed with beautiful hammered and polished red brass, which closely resembles gold when polished, but at a fraction of the cost.